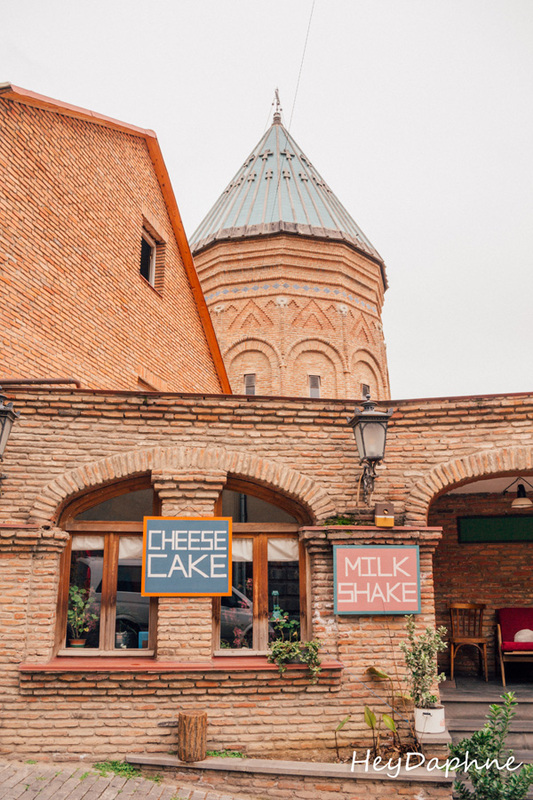 What makes Tbilisi so unique is the way this modern, vibrant city embraces its huge history and its intense Soviet past. 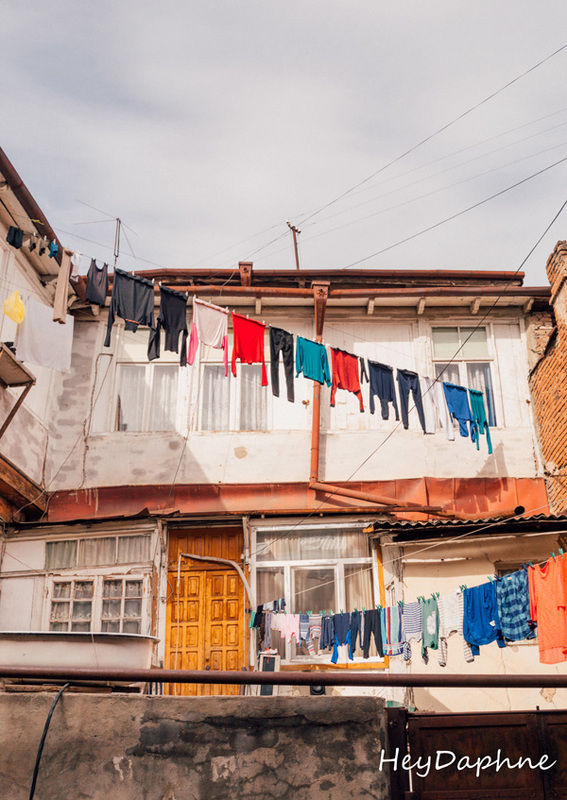 Neighborhoods where time seems to have stopped many decades ago, dilapidated houses getting life from the voices of children playing carelessly in the courtyards. Few steps further well-dressed ladies waiting in the queue outside the dozens of theaters in Rustaveli avenue. 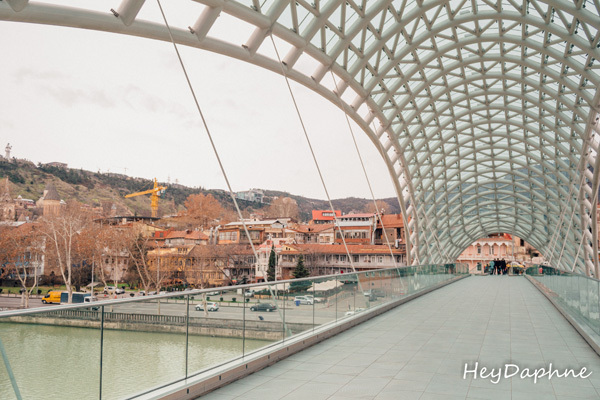 The city's famous bridge was built in 2010 to unite old Tbilisi with the new city. 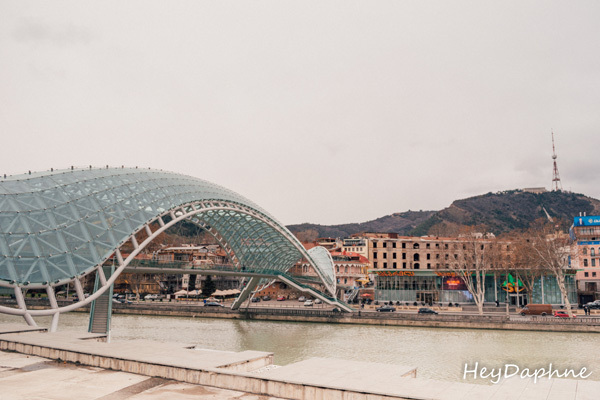 This futuristic pedestrian bridge is made entirely of glass and steel, while in the evening it is illuminated by thousands of LED lights. 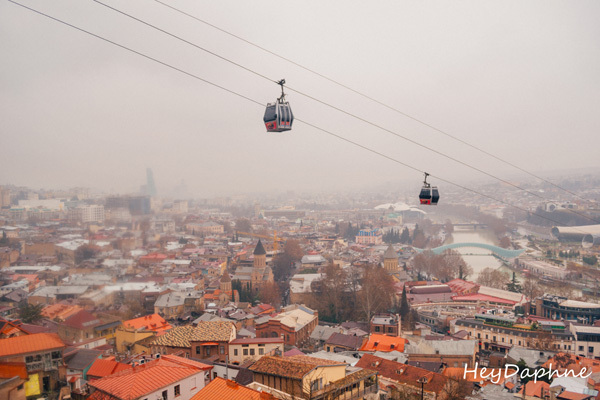 From here, one can see the whole city, and some of Tbilisi's most important sights, such as the Metekhi church, Narikala Fortess, the presidential palace and the beautiful Rike Park. 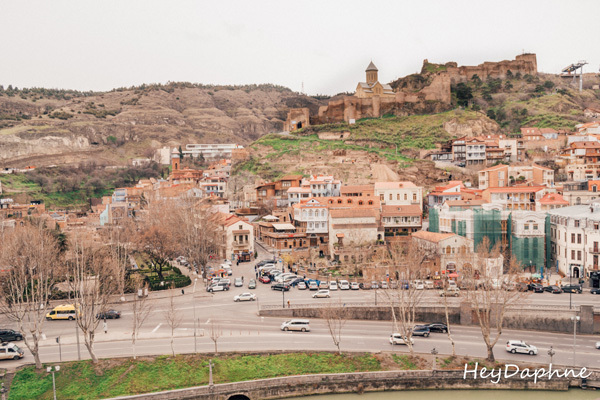 Narikala Fortress stands impressive over the city of Tbilisi and the Kura River. 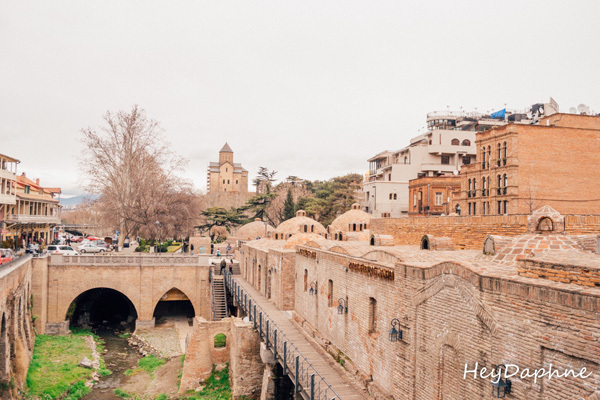 It was built in the 4th century and expanded significantly from the Caliphate of the Omeyyades in the 7th century. 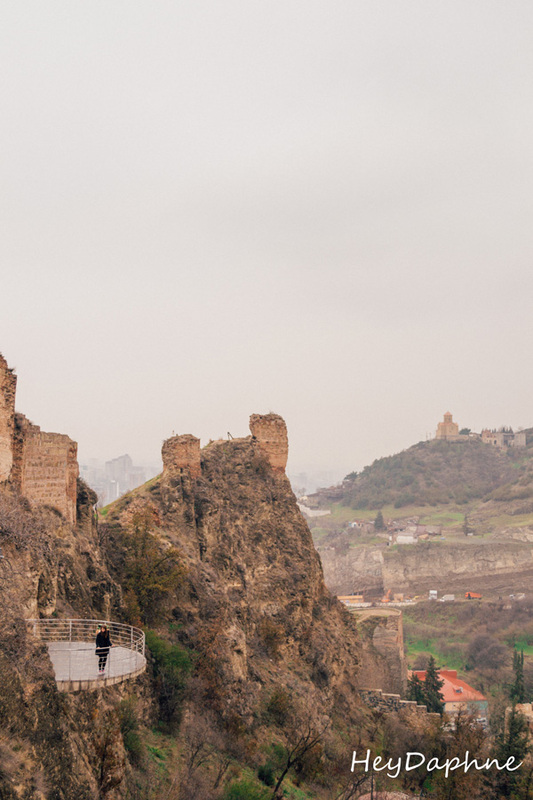 Its current name came from the Mongols, who gave the castle the name "Narin Qala" which means a small fortress. In 1827 the biggest part of the castle was destroyed after an earthquake and so today we can only see a small part of it. 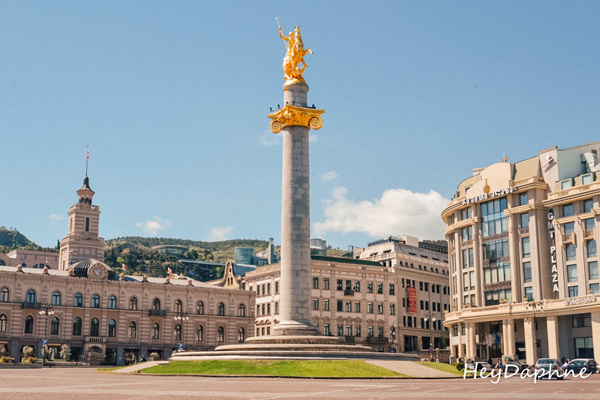 The view from here is really impressive, while a few meters away is located the 20 meter statue of the Georgian mother, Kartlis Deda. There are 2 ways to get to Narikala, you can either walk to the fortress, crossing some of the most beautiful neighborhoods of the old city or in case you prefer a more relaxing but equally stunning way, you can take the cable car, which starts from the opposite bank of the river and you can reach the castle while admiring the city from above. 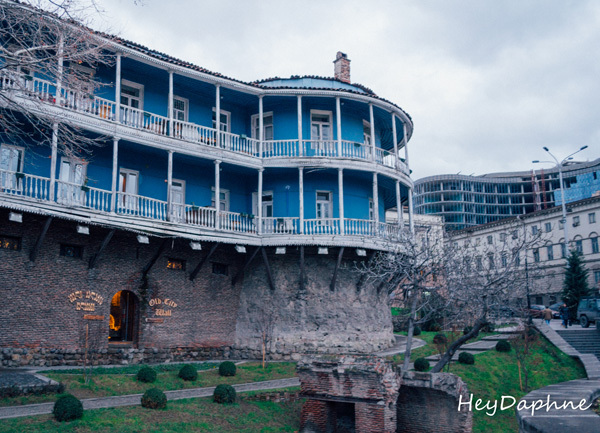 The old town, which is also the tourist center of Tbilisi, is built at the foot of the hill below the Narikala Fortress. 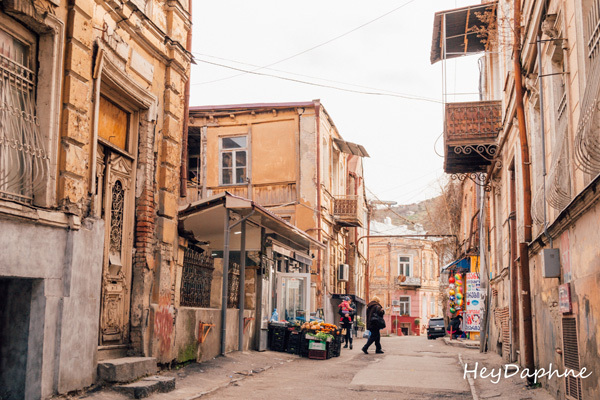 A walk through the narrow uphill streets of the old city takes you to another era and makes you feel like you are in a small mountain village and not in a modern capital. Almost all the buildings of the old city have been built several centuries ago, with the worsening of time being obvious but not affecting the charm they emit in any way. The Georgians are one of the most profoundly religious peoples, and for this reason in Tbilisi you will find many temples. 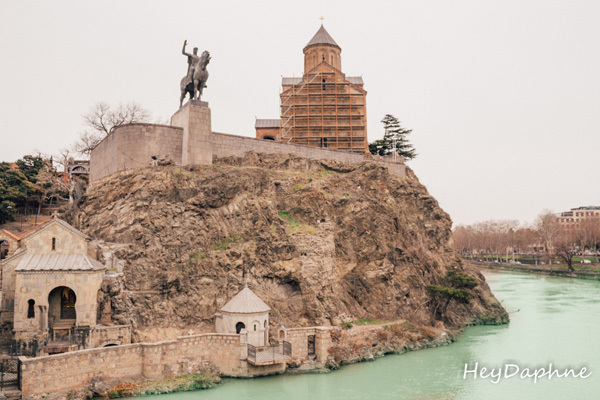 One of the most impressive among them, built on the left bank of the river, is Metekhi church. 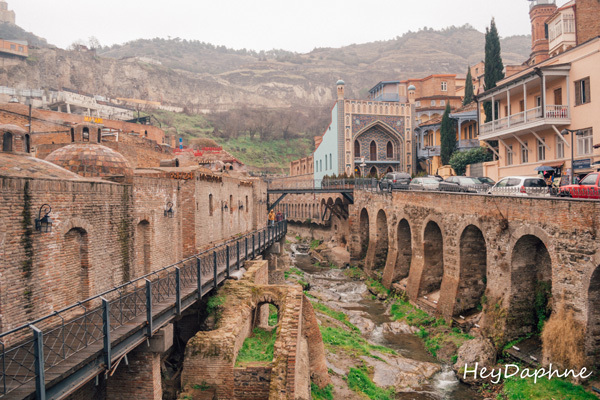 The name Metekhi means the area around the palace, since it is where King Vakhtang Gorgasali built a church and a fortress, where he also lived when he made Tbilisi the capital of Georgia in the 5th century. 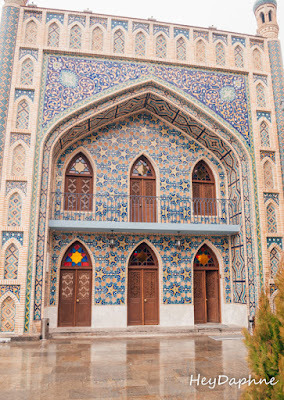 The present temple dedicated to the Assumption of the Virgin was built by Georgian King Demetre Tavdadebuli in the 13th century. 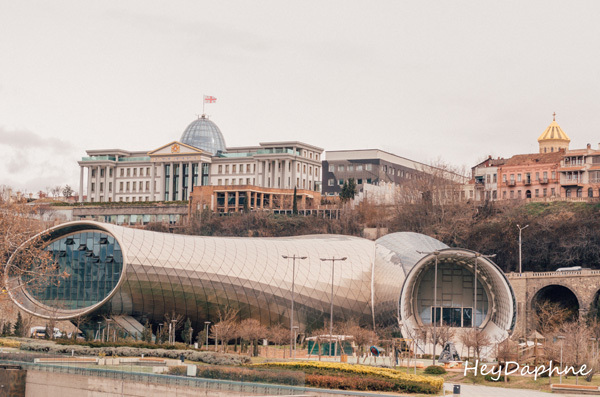 Another reason to visit this particular temple is that due to its location it offers a 360 degree view of the city of Tbilisi. 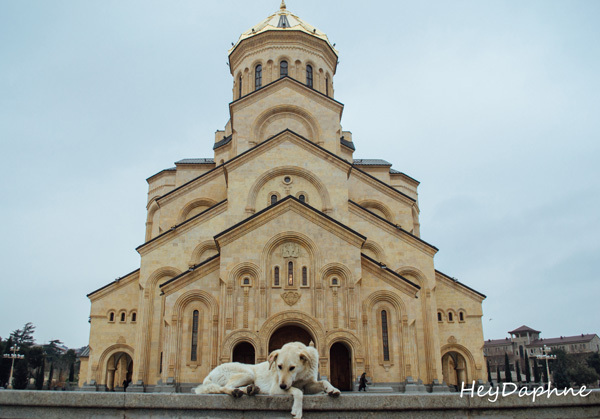 The imposing Cathedral of the Holy Trinity is considered the center of the Georgian Orthodox Church and is visible almost everywhere in the city. Its construction was completed in 2004, having lasted for 10 whole years, making it the 3rd tallest Orthodox cathedral in the world and one of the largest temples in the world in a total area. 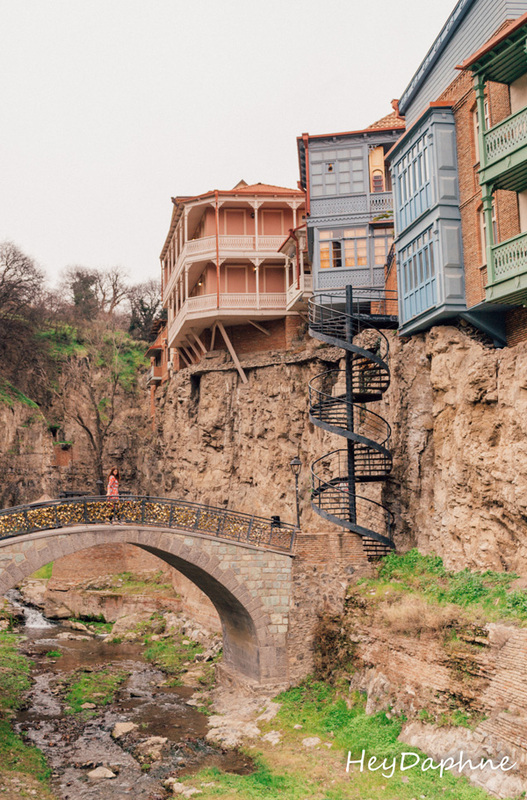 One of the most beautiful areas of the city, at the foot of the Narikala fortress is Abanotubani. 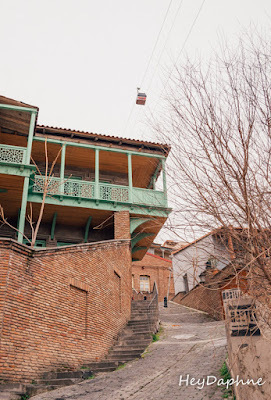 The hot sulfur springs in the area are those that, according to the myth, made Vakhtang Georgasali settle in the city and declare it the new capital of Georgia, but also those who gave their name to the city, since Tbilisi means hot. 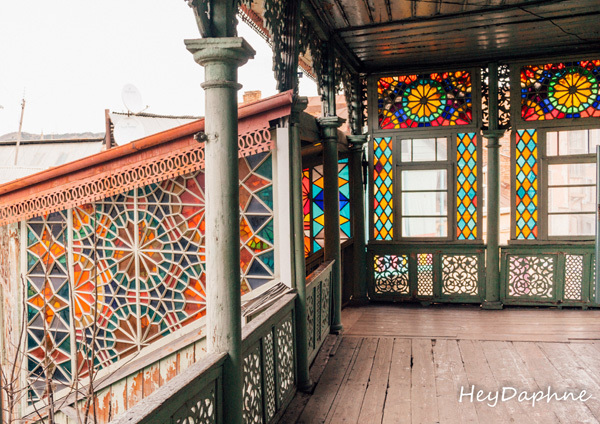 A visit to the area is required both to walk between the red vaulted roofs and to relax by visiting one of the baths. At Abanotubani you will find about 10 different baths where you can book your own private room in different sizes and prices. We chose the newly refurbished Orbeliani bathhouse, which if you find yourself in the area you will certainly notice because of its impressive façade. 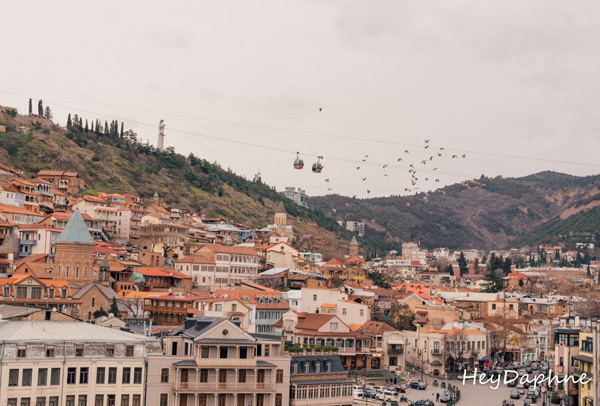 Tbilisi is one of the most value for money destinations, which means that you will find excellent accommodation options at very good prices. If you are looking for a vibrant place which still retains many elements of the city's intense past, Fabrika Hostel & Suites is the perfect place to stay (read more about my stay in Fabrika, here). If you prefer a more luxurious choice, Rooms Hotel, belonging to the same group as Fabrika, is the right one for you.